The cast of Modern Family is speaking out about their hit show! 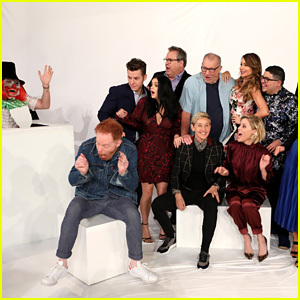 Ed O’Neill, Sofía Vergara, Julie Bowen, Ty Burrell, Jesse Tyler Ferguson and Eric Stonestreet made an appearance on The Ellen DeGeneres Show on Tuesday (September 25). 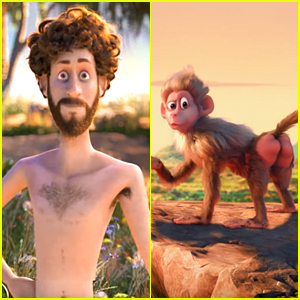 During their appearance, the actors reminisced about their first impressions of each other when they met one decade ago, and told Ellen about Ed’s gut feeling the sitcom would be a success. They all unanimously decided Julie has the best impression of Sofía and Julie reenacted their conversation with an impression. Sofía also shares a photo of herself at age 11, which bears a striking resemblance to Julie today. Later, Sarah Hyland, Ariel Winter, Nolan Gould and Rico Rodriguez joined, and Ellen asked the cast about growing up with their TV parents. Ellen then reveals how she tasked Eric with trying to scare the cast on-set. Later on, she shared a montage of hilarious moments from the cast’s past appearances on the talk show. Plus, a staff member scares the cast while taking a family photo with Ellen! Julie Bowen Says She's 'Been Told' That 'Modern Family' May Get Another Season! Julie Bowen Confirms on 'Jimmy Kimmel Live' That 'Modern Family' In Talks To Not End! Kaley Cuoco & January Jones Support Step Up at Inspiration Awards! Julie Bowen Opens Up About the End of 'Modern Family' - Watch! 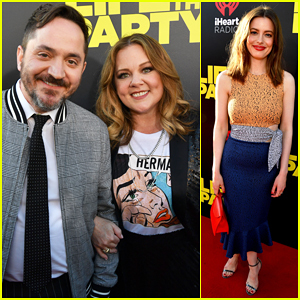 Melissa McCarthy & Ben Falcone Team Up To Premiere 'Life of the Party' in Alabama! Melissa McCarthy Is Hilarious in New 'Life of the Party' Trailer - Watch Now! Jessica Alba, Kelly Rowland, Michelle Monaghan & More Celebrate at Baby2Baby Holiday Party!